We will design your new club member’s wrist watches. 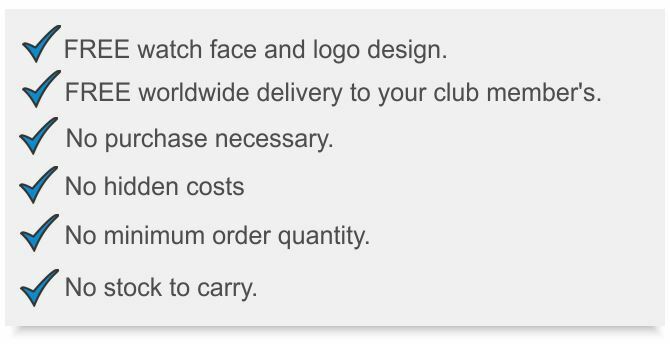 Simply send us your club logo and we will send you images of what the finished watch will look like. No logo, no problem we will design a logo for you. Absolutely no purchase necessary, no deposit and no hidden costs to your club. Once you have approved the watch it will be added to the member’s area of Timekings. To take advantage of this great offer, contact us today at sales@timekings.com or use the ‘Contact Us’ tab on the main page.